After a recent visit to Boots (and since then I've been very good and have yet to step foot back into the store, I'm sure my bank account loves me) I finally picked up a product I have been wanting to try for a good while now. 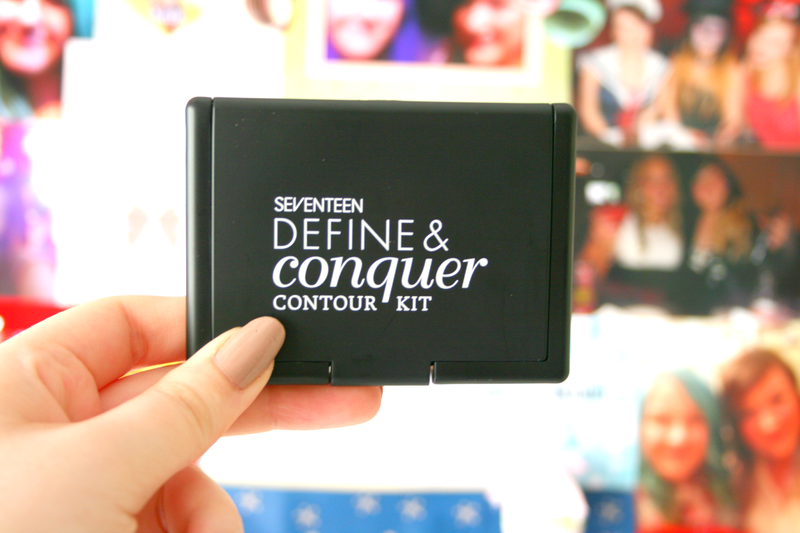 Contouring is something that I almost do unknowns to myself on a daily basis so I'm always after trying different kits and so I finally got around to picking up the Define & Conquer contour kit by Seventeen. I'll start by saying how much I really like the packaging and I feel like it's very Nars style with it's sleek matte black compact. Along with the outside looking very similar to the famous brand the bronzer and highlighter is also laid out very similar to palettes by Nars. The inside packaging also contains a huge mirror (where I have the little card placed over) which is something I love especially for travelling. Onto the product itself, from the stock I looked through in store there seems to be only one colour choice so I didn't have to go looking for the 'light' shade like I normally do. 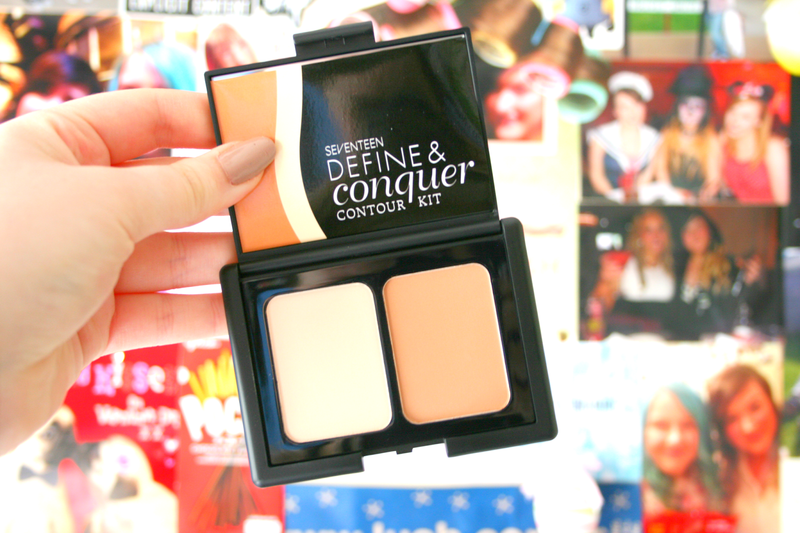 The contouring powder is very buildable and the more you apply the darker it gets which is amazing because it can work for pale skin and darker, and trust me if this can work for my pale skin and not look orange (and I'm talking Snow White shade) it will work for anyone! 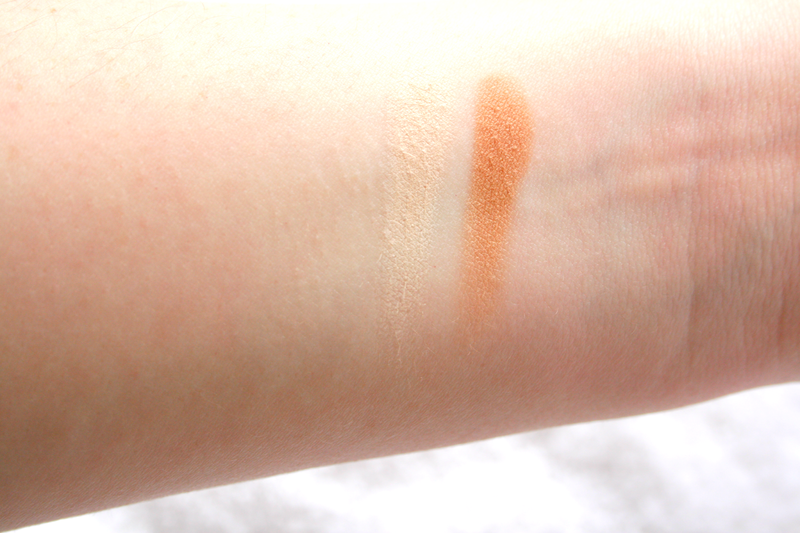 The powder is so buttery and blends so easily it's really hard to go wrong with it. The highlighting shade couldn't have come at a better time. I will admit I haven't used this on it's own as I much prefer to highlight with the NYX HD concealer however I do use this to set the concealer and along with setting it and keeping it in place all day long it also helps give that slighter brighter look to the highlighted areas. Before this I had nothing to set my NYX concealer with and was using a yellowy toned eyeshadow so I'm beyond happy to finally have something like this in my collection. This is one of the first products I have tried from the Seventeen range and I have to say it did not disappoint at all! Not only is it affordable but the product is amazing and it just looks absolutely gorgeous on the skin. This little kit will only set your bank balance back €7.59! I cannot wait to try out some more products from the brand and already have my eye on a few. Boots also currently have a buy one get one half price offer on right now on Seventeen products so it's a great time to pick some up! Have you tried any Seventeen cosmetics? I am a big fan of Seventeen, I love their Miracle Matte powder and the lipsticks. I haven`t tried this one yet, my I will definitely give it a go soon.